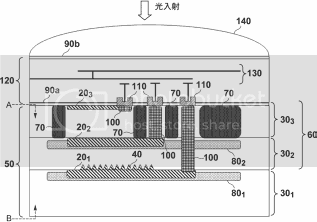 Indefatigable Japanese site Egami (translated) spotted another Canon patent. It concerns a 3-layer image sensor that appears to be particularly sensitive to light. No idea where such a sensor could be employed, maybe in a future generation of high-end cameras?